It’s been a hectic few weeks attending the OPEC conference in Vienna and the 20th World Petroleum Congress in Doha, but the Oilholic is now happily back in London town for a calm Christmas. In fact, a more than passive interest in the festive period’s crude trading lows is all what you will get for the next fortnight unless there is a geopolitical mishap. However, before we discuss crude pricing, this humble blogger had the wonderful experience of doing a commentary hit for an OPEC broadcast and moderating a Baker & McKenzie seminar at the WPC. Starting with OPEC, it was a pleasure ditching pricing and quotas for once in Vienna and discussing the infrastructure investment plans of its 12 member nations in OPEC webcast on December 14th. The cartel has announced US$300 billion of upstream infrastructure investment between 2011 and 2015. This ties-in nicely to the Baker & McKenzie seminar at the WPC on December 7th where the main subject under the microscope was investment opportunities for NOCs. 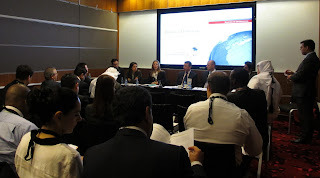 Six legal professionals attached to Baker's myriad global practices, including familiar names from their UK office, offered the audience insight on just about everything from sources of funding to a reconciliation of different drivers for NOCs and IOCs in partnerships. Once the panel discussion was over, the Baker partners were kind enough to allow the Oilholic to open the floor for some lively questioning from the audience. While the Oilholic did most of the probing and Baker professionals did most of the answering, the true credit for putting the seminar and its research together goes to Baker’s Emily Colatino and Lizzy Lozano who also clicked photos of the proceedings. Now from crude sound-bites to crude market chatter post-OPEC, as the end of last week saw a major sell off. Despite the price of crude oil staging a minor recovery in Monday’s intraday trading; both benchmarks were down by over 4 per cent on a week over week, five-day cycle basis on Tuesday. Since the festive period is upon us, trading volumes for the forward month futures contracts will be at the usual seasonal low over the Christmas holidays. Furthermore, the OPEC meeting in Vienna failed to provide any meaningful upward impetus to the crude price level, which like all traded commodities is witnessing a bearish trend courtesy the Eurozone crisis. Sucden Financial Research analyst Myrto Sokou notes that investors remained very cautious towards the end of last week and were prompted towards some profit taking to lock in recent gains as WTI crude was sliding down toward US$92 per barrel level. “After market close on Friday, Moody’s downgraded Belgium by two notches to Aa3, as liabilities associated with the Dexia bailout and increased Eurozone risks were cited as key factors. In addition, market rumours on Friday of a France downgrade by S&P were not followed up, though the agency did have server problems during the day. Suspicion is now that they will wait until the New Year to conclude review on Eurozone’s second largest economy,” Sokou said in a note to clients. Additionally, crude prices are likely to trade sideways with potential for some correction higher, supported by a rebound in the global equity markets. “However, should the US dollar strengthen further we expect some pressure in the oil market that looks fairly vulnerable at the moment,” Sokou concludes. Away from pricing projections, the Reuters news agency reports that Libya has awarded crude oil supply contracts in 2012 to Glencore, Gunvor, Trafigura and Vitol. Of these Vitol helped in selling rebel-held crude during the civil war as the Oilholic noted in June. On to corporate matters and Fitch Ratings has upgraded three Indonesian oil & gas utilities PT Pertamina (Persero) (Pertamina), PT Perusahaan Listrik Negara (Persero) (PLN) and PT Perusahaan Gas Negara Tbk (PGN) to 'BBB-' following the upgrade to Indonesia's Long-Term Foreign- and-Local-Currency Issuer Default Ratings (IDRs) to 'BBB-' from 'BB+'. The outlooks on all three entities are Stable, agency said in a note on December 15th. Meanwhile, a Petrobras communiqué suggests that this December, the combined daily output of the Brazilian major and its partners exceeded 200,000 barrels of oil equivalent per day (boe/day) in the promising Santos Basin. The company said that on December 6, two days after operations began at well RJS-686, which is connected to platform FPSO Cidade de Angra dos Reis (the Lula Pilot Project), the total output operated by Petrobras at the Santos Basin reached 205,700 boe/day. This includes 144,100 barrels of oil and condensate, in addition to 9.8 million cubic meters of natural gas (equivalent to an output of 61,600 boe), of which 8.5 million cubic meters were delivered to the Monteiro Lobato Gas Treatment Unit (UTGCA), in Caraguatatuba, and 1.3 million cubic meters to the Presidente Bernardes Refinery (RPBC) Natural Gas Unit, in Cubatão, both in the state of São Paulo. Finally, ratings agency Moody's notes a potential sizable lawsuit against Chevron Corporation in Brazil could have a negative impact on the company, but it is too early to judge the full extent of any future liability arising from the lawsuit. Recent news reports indicate that a federal prosecutor in the state of Rio de Janeiro is seeking BRL20 billion (US$10.78 billion) in damages from Chevron and Transocean Ltd. for the offshore oil leak last month. The Oilholic thinks Transocean’s position is more troublesome given it’s a party to the legal fallout from the Macondo incident. That’s all for the moment folks – a crude year-ender to follow in early January! In the interim, have a Happy Christmas! Keep reading, keep it ‘crude’! © Gaurav Sharma 2011. Photo 1: Gaurav Sharma on OPEC's 160th meeting live webcast from Vienna, Austria on Dec 14, 2011 © OPEC Secretariat. Photo 2 & 3: The Oilholic at Baker & McKenzie seminar on investment opportunities for NOCs at the 20th World Petroleum Congress in Doha, Qatar on Dec 7, 2011 © Lizzy Lozano, Baker & McKenzie. In line with market expectations and persistent rumours heard here all morning in Vienna, OPEC has agreed to officially maintain its crude production quota at 30 million barrels per day (bpd) at its 160th meeting, thereby legitimising the increase the Saudis triggered after the acrimony of the last meeting in June. The OPEC Secretary General Abdalla Salem El-Badri said the heightened price volatility witnessed during the course of 2011 is predominantly a reflection of increased levels of speculation in the commodities markets, exacerbated by geopolitical tensions, rather than a result of supply/demand fundamentals. Ministers also expressed concern regarding the downside risks facing the global economy including the Euro-zone crisis, persistently high unemployment in the advanced economies, inflation risk in emerging markets and planned austerity measures in OECD economies. “All these factors are likely to contribute to lower economic growth in the coming year. Although world oil demand is forecast to increase slightly during the year 2012, this rise is expected to be partially offset by a projected increase in non-OPEC supply,” El-Badri noted. Hence, OPEC decided to maintain the production level of 30 million bpd curiously “including production from Libya, now and in the future”. The quota would be reviewed in six months and does not include Iraqi supply. The cartel also agreed that its members would, if necessary, take steps including voluntary downward adjustments of output to ensure market balance and reasonable price levels. The last bit stirred up the scribes especially as El-Badri, himself a Libyan, noted that his country’s production will be back to 1 million bpd “soon” followed by 1.3 million bpd end-Q1 2012, and 1.6 million at end of Q2 2010; the last figure being the pre-war level. Despite persistent questioning, the Secretary General insisted that Libyan production will be accommodated and 30 million bpd is what all members would be asked to adhere to formally. He added that the individual quotas would be reset when Libyan production is back to pre-war levels. El-Badri also described the "meeting as amicable, successful and fruitful" and that OPEC was not in the business of defending any sort of crude price. “We always have and will leave it to market mechanisms,” he concluded. Iran's Rostem Ghasemi said the current OPEC ceiling was suitable for consumers and producers. “We and the Saudis spoke in one voice.” He also said his country was "cool" on possible oil export embargoes but neither had any news nor any inclination of embargoes being imposed against his country yet. OPEC next meets in Vienna on June 14th, 2012. Following OPEC’s move, the Oilholic turned the floor over to some friends in the analyst community. Jason Schenker, President and Chief Economist of Prestige Economics and a veteran at these events, believes OPEC is addressing a key question of concern to its members with the stated ceiling. “That question is how to address the deceleration of global growth and pit that against rising supply. And what OPEC is doing is - not only leaving the production quota essentially unchanged but also holding it at that unchanged level,” Schenker said. “When the Libyan production does indeed come onstream meaningfully or to pre-war levels between now and Q2 or Q3 of 2012, smart money would be on an offsetting taking place via a possible cut from Saudi Arabia,” he concluded. Myrto Sokou, analyst at Sucden Financial Research, noted that an increase (or rather the acknowledgement of an increase) in the OPEC production limit after three years might add further downward pressure to the crude price for the short-term with a potential for some correction lower in crude oil prices. “On top of this, the uncertain situation in the Eurozone continues to dominate the markets, weighting heavily on most equity and commodity prices and limiting risk appetite,” he said. And on that note, it is goodbye from the OPEC HQ. Keep reading, keep it ‘crude’! © Gaurav Sharma 2011. Photo: OPEC's 160th meeting concludes in Vienna, Austria - seated (R to L) OPEC Secretary General Abdalla Salem El-Badri and President Rostem Ghasemi © Gaurav Sharma 2011. OPEC's tiffs patched-up! Its all crudely good! An announcement is expected on OPEC quota much earlier than expected at 14:00CET instead of 16:00CET. Instead of the rows we saw last time, things on this instance were so amicable that they've wrapped up early. Saudi minister Ali Al-Naimi has left the building having patched-up with his Iranian counterpart, a trusty Venezuelan has just confirmed that a 30 million bpd OPEC quota agreement is a done deal and the Oilholic has just done a comment piece on an OPEC TV webcast. Rostam Ghasemi, Minister of Petroleum of Iran and current President of the OPEC Conference noted that the last meeting on June 8th, the international oil market has witnessed further volatility. The OPEC Reference Basket price has risen to US$113 a barrel on several occasions, and it fell below US$99 a barrel briefly at the start of October as well. “Uncertainty about economic growth translates into uncertainty about oil demand. In the aforesaid five-month period, we have reduced our forecast for world oil demand growth in 2012 by around 600,000 barrels a day. This leaves us with a demand growth estimate for 2012 of 1.1 million barrels per day over 2011,” Ghasemi said. “Therefore, when reviewing the market outlook for 2012 and beyond, we face a very unclear picture. On the one hand, we are committed to ensuring that the world oil market is always well-supplied. Yet, on the other hand, we are faced with the prospect of a world economy which could swing either way in the coming months. It could enter a welcome period of sustainable economic recovery or return to a new downturn or even recession,” he added. A relatively small impulse in an economy, or a group of economies, could be a deciding factor in this unstable global environment. The situation is not helped by the still considerable influence of the international financial sector in over-stating market trends in one direction or another, out of line with fundamental factors,” Ghasemi continued. All this, according to Ghasemi presents a huge challenge to OPEC's Member Countries, when it comes to investing in future production capacity in an industry with high capital-outlays and long lead-times. More shortly, after the official confirmation of the OPEC quota! © Gaurav Sharma 2011. Photo: OPEC HQ, Vienna, Austria © Gaurav Sharma 2011. On OPEC chatter & Libyans who matter! Credible information and several statements made on arrival in Vienna by OPEC ministers and member nations’ delegates suggest that price hawks – chiefly Iran – will now accept an 'official' rise in production quota by Saudi Arabia and its allies Kuwait and Qatar. That would mean the cartel would now legitimise and accept a stated production cap of 30 million barrels per day (bpd) for all members after talks on the issue fell apart in June and OPEC ministers left in a huff without formally outlining the output cap. Saudi Oil Minister Ali al-Naimi has already been flexing his ‘crude’ muscles. If, as expected, an OPEC agreement puts a 30 million bpd production cap on all 12 OPEC member nations, this would keep the cartel’s production in the region of a 3-year high. The stated volume would meet demand and leave enough surpluses to rebuild lean stocks by 650,000 bpd over the period according to OPEC. Sucden Financial Research’s Jack Pollard notes that an OPEC production ceiling could provide some upside support if approved; Saudi opposition could suppress calls from Iran. The return of Libyan and Iraqi crude oil should alleviate the market’s tight supply conditions. “As we come to the year-end, the contrasting tail risks in Europe and the Middle-East seem most likely to dominate sentiment. Increased sanctions on Iran which could cut production by 25%, according to the IEA, could mitigate the worst of the losses if the situation in Europe deteriorates,” he concludes. Assurances are also being sought here to make room for Libya's supply coming back onstream so that collective production does not exceed 30 million bpd as ministerial delegations from Algeria, Kuwait, Nigeria and the OPEC secretariat met here today, ahead of tomorrow’s proceedings. As talk of Libyan production coming back onstream gains steam here at OPEC, the Oilholic thinks the key figures on the Libyan side instrumental in bringing that about could or rather would be Abdel Rahim al-Keib (a key politician), Rafik al-Nayed (of Libya’s investment authority) and Abdurahman Benyezza (Minister of Oil and Gas). International companies BP, Eni, Occidental Petroleum, OMV and Repsol will figure too with operations in the country. That’s all for the moment folks! Keep reading, keep it ‘crude’! © Gaurav Sharma 2011. Photo: 160th OPEC press conference table © Gaurav Sharma 2011. IEA, crude price & Al-Naimi’s strong arm tactics! The Oilholic arrived in Vienna this morning ahead of the 160th OPEC meeting from sunny Doha via a gale force wind hit London, to hear that the IEA had a new message for the cartel. The agency's latest market report notes that OPEC will need to produce “less” crude over 2012 than previously forecast. Global demand will average 90.3 million barrels per day (bpd) over 2012, which is 200,000 barrels less than the IEA’s November estimate. This marks the fourth cut in the IEA’s 2012 forecast. Meanwhile, before the OPEC meeting outcome is officially known, the ICE Brent forward month future contract came in at US$109.41 up 2.15 cents or 2% while WTI came in at US$100.00 up 1.17 cents or 1.1 per cent when the Oilholic last checked at 19:00CET. Concurrently, the OPEC basket of crudes price stood at US$107.33 on Monday. Meanwhile, Saudi oil minister Ali al-Naimi arrived in Vienna with more than the customary aplomb declaring to the World’s press that his country’s output had topped 10 million bpd, the highest it has been in recent memory. If his idea was to get price hawks Algeria, Iran and Venezuela to acknowledge an appreciable rise in Saudi supply, since the shenanigans of the last meeting of the cartel in June, then sources suggest it just might have succeeded. The geopolitical pretext of course is that the Saudis wanted to make up for lost Libyan supplies. © Gaurav Sharma 2011. Photo: OPEC crest © Gaurav Sharma 2011. We’re nowhere near “Peak oil” er...perhaps! 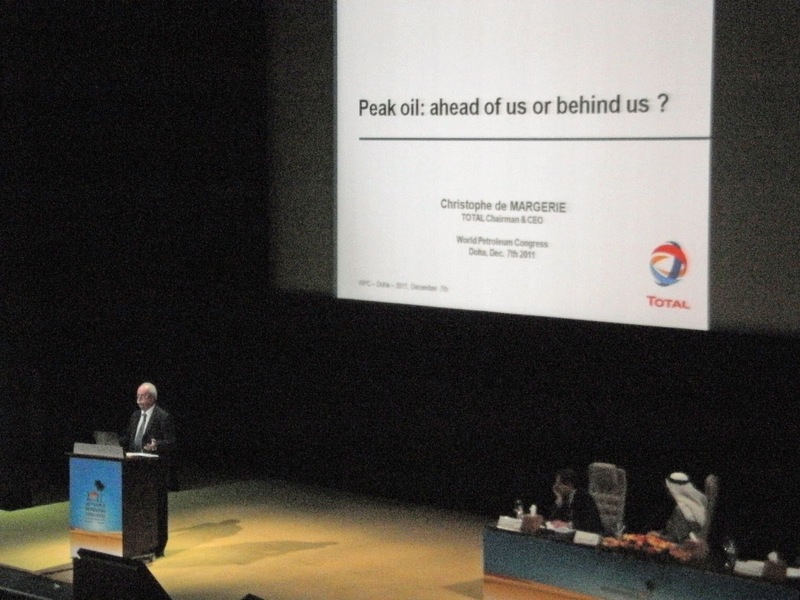 The 20th World Petroleum Congress could not have possibly gone without a discussion on the Peak Oil hypothesis. In fact, every single day of the Congress saw the topic being discussed in some way, shape or form. So the Oilholic decided to summarise it after the event had ended and before the latest OPEC meeting begins. Discussing the supply side, starting with the hosts Qatar, Emir Sheikh Hamad bin Khalifa said his country was rising to challenge to secure supplies of oil and gas alongside co-operating with members of the energy organisations to which they were aparty, in order to realise this goal. Close on the Qatari Emir’s heels, Kuwaiti oil minister Mohammed Al-Busairi said his country’s crude production capacity is only expected increase between now and 2015 from the current level of 3 million barrels per day (bpd) to 3.5 million bpd, before rising further to 4 million bpd. Rising supplies in al-Falih’s opinion will result in deflating the Peak Oil hypothesis. “In fact, we are on the cusp of what I believe will be a new renaissance for petroleum. This belief emanates from new sweeping realities that are reshaping the world of energy, especially petroleum,” he told WPC delegates. Meanwhile, in context of the wider debate, Petrobras chief executive Jose Sergio Gabrielli, who knows a thing or two about unconventional told delegates that the speed with which the new sources of oil are entering into production has taken many people by surprise, adding to some of the short-term volatility. “The productivity of our pre-salt offshore drilling moves is exceeding expectations,” he added. Petrobras now hopes to double its oil production by 2020 to over 6.42 billion barrels of oil equivalent. 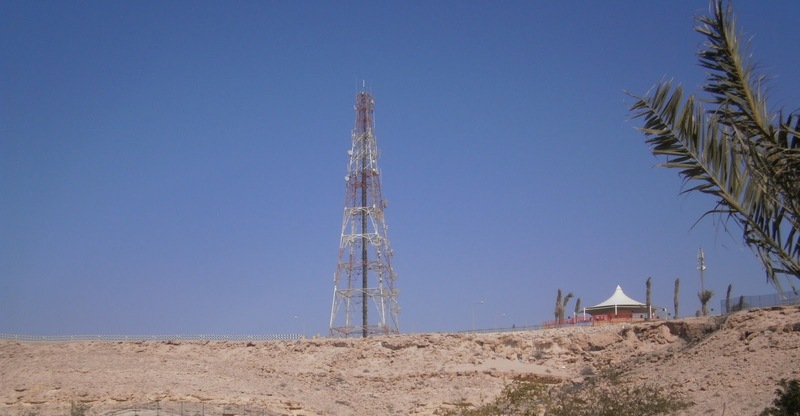 It seems a veritable who’s-who of the oil and gas business lined up in Doha to implicitly or explicitly suggest that Marion King Hubbert – the patron saint of the Peak Oil hypothesis believers – had always failed to take into account technological advancement in terms of crude prospection and recent developments have proven that to be the case. He forecasts that fossil fuels will continue to make up 76% of the energy supply by 2050. “We have plenty of resources, the problem is how to extract the resources in an acceptable manner, being accepted by people, because today a lot of things are not acceptable,” the Total CEO quipped almost to the point of getting all worked up. He concluded by saying that if unconventional sources of oil, including heavy oil and oil shale, are exploited, there will be sufficient oil to meet today’s consumption for up to 100 years, and for gas the rough estimate is 135 years. Or enough to make Hubbert stir in his grave. © Gaurav Sharma 2011. Photo: Total's CEO De Margerie discusses Peak Oil at the 20th World Petroleum Congress © Gaurav Sharma 2011. Sunset in Doha: Off from WPC to OPEC! The 20th WPC ended yesterday in Doha and it was an amazing experience. Following the opening ceremony on Dec 4th, it was another four days of intense debates, discussions, meeting and greeting and the Oilholic has been wiser for it. Everything from peak oil to unconventional projects was under the microscope, a deal announced here and CEO speaking there, one minister throwing-up a policy initiative to another presenting a white paper and so it went. Every oil major – NOC or IOC – offered up some newsy or debatable material and the Oilholic put them across from his perspective without attempting to be everywhere at all times and being all things to all ‘crude’ men as it was near impossible. This blogger was also truly delighted to have moderated a Baker & McKenzie event at 20th WPC which included a seminar on NOCs, where they should invest, what they should know and where the opportunities lie. Over the course of five days, several representatives from a list of companies and firms too long to list engaged in constructive discussions – some on and some off record. Furthermore, delegates from Milwaukee to the Faroe Islands got to hear about this blog and offer their insight and suggestions which are deeply appreciated. The Qataris aside, officials from Angola, Algeria, Brazil, Canada, China, India, Kuwait, Nigeria, Netherlands, Norway, USA, Russia, Venezuela and last but not the least the UK spared their invaluable time to discuss crude matters with the Oilholic, however briefly in some cases. One oil minister even joked that if he had time – he’d be a blogger himself! All good things come to an end and now its time to say goodbye to Doha and head back to London, albeit briefly before the 160th meeting of OPEC ministers at the cartel’s HQ in Vienna on December 14th. There were fireworks last time between the Saudis and Iranians at OPEC HQ; let’s see what happens this time. Ahead of the OPEC meeting, Secretary General, Abdalla Salem El-Badri took a timely swipe here in Doha at speculators. El-Badri also noted that between 2009 and 2011, data has shown an almost one-to-one correlation between WTI prices and the speculative activity of the net long positions of money managers. “This is in terms of both volume and value. Let me stress, excessive speculation is detrimental to both producers and consumers and can cause prices to detach from fundamentals. It is essential to avoid distorting the essential price discovery function of the market,” he added. Meanwhile ahead of the OPEC meeting, ratings agency Moody's has raised its 2012 and 2013 price assumptions for both WTI and Brent benchmarks. It now assumes a price of US$90 per barrel WTI crude in 2012, and US$85 per barrel in 2013, dropping to US$80 per barrel in the medium term, which falls beyond 2013. The ratings agency had previously assumed a price of US$80 per barrel for WTI in 2012 and beyond. On Brent crude, Moody's assumes a price of US$95 in 2012, US$90 in 2013 and US$80 in the medium term - higher than the previous assumption of US$90 in 2012 and US$80 thereafter. Moody's continues to use US$60 per barrel as a stress case price for both WTI and Brent. The move reflects the rating agency's expectations that oil prices will remain robust over the next two years, while natural gas will remain significantly oversupplied. Price assumptions represent baseline approximations – not forecasts – that Moody's uses to evaluate risk when analysing credit conditions within the oil and gas industry. And on that note, its goodbye from Doha; keep reading, keep it ‘crude’! © Gaurav Sharma 2011. 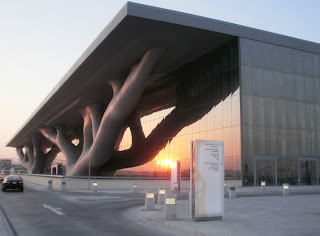 Photo: Outside the QNCC at the 20th Petroleum Congress, Doha © Gaurav Sharma 2011. On the final day of the 20th WPC, the Oilholic skipped the morning’s proceedings and headed to Dukhan oil & gas field nearly 60 km west of Doha at the invitation of Qatar Petroleum. This field is where it all began for Qatar’s oil & gas industry when oil was first discovered in 1938 and one is privileged to have been granted access to such a historic site. Not only was access allowed, but Qatar Petroleum’s site supervisor Abdulla Mohamed Afifa spared his valuable time to both answer the Oilholic’s questions as well as accompany him around parts of the field and its gas recycling facility. Oil was first discovered in Dukhan in 1938 at the very site this blogger stands sporting a Qatar Petroleum uniform and overalls (see left). 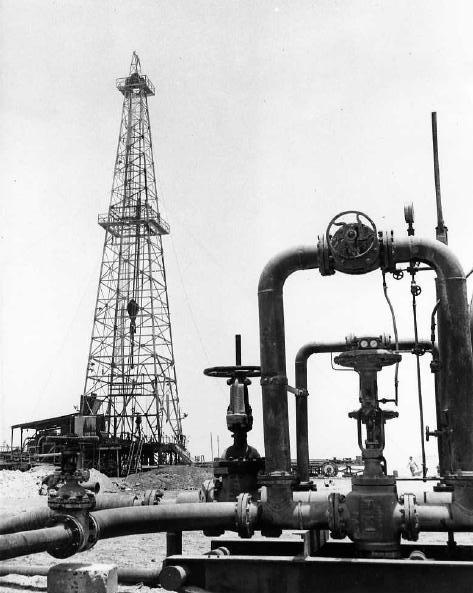 While prospection fields were dug over 1939 and 1940, the first meaningful export of petroleum from Dukhan had to wait until after World War II in 1949. The field contains four reservoirs – Fahahil, Khatiyah and Jaleha/Diyab. Oil & gas are separated in Qatar Petroleum’s four degassing stations – namely Khatiyah North, Khatiyah Main, Fahahil Main and Jaleha. Stabilised crude is then transported by pipeline to the Mesaieed port. A massive turnaround came in 1959 when natural gas was discovered in the Khuff Reservoir. The discovery at Khuff and what followed has since made the state of Qatar one of the biggest exporters of natural gas. The Fahahil plant was commissioned to recover raw natural gas liquids (NGL) in 1974. Two years later, the first development well at Khuff reservoir was dug, and between 1978 and 1982 eight wellhead treatment plants were commissioned at Khuff alone. Several production stabilisation techniques have been employed in the last decade making Qatar Petroleum the world’s six largest oil company by barrels of oil equivalent at the time of writing this post. These days the field produces up to 336,000 barrels of crude/crude oil equivalent per day with future plans such as Dukhan Gas Lift project aimed at maintaining crude oil production. The adjoining Dukhan city, which began life as a mere camp for Qatar Petroleum employees, is today a vibrant city boasting its own amenities, facilities, a service sector economy and not to mention a pristine beach. It is connected to Doha by Qatar's only four-lane motorway along which the Oilholic zipped down to see this site. Visiting Dukhan was a memorable experience much enriched by site supervisor Afifa’s insight about the field. © Gaurav Sharma 2011. 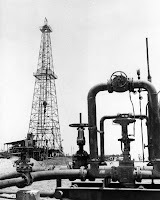 Photo I: The Oilholic at the site of the first discovery of oil in Qatar - the Dukhan field. Photo II: A well at Dukhan field, Qatar © Gaurav Sharma 2011. Photo III: Oil Rig No 54, Gas separator valves in foreground, Dukhan, Qatar, Archive July 1956 © Qatar Petroleum. Is the integrated model of operations incorporating a mixed bag of upstream, midstream and downstream assets ‘dead’ for oil & gas majors given that so many of them have put refining & marketing (R&M) assets up for sale in the last half decade? The question of raises some fierce emotions! Some say it’s not dead, some (including the Oilholic) say it is and others simply say it is on “life support.” The wider market and quite a few delegates here at the 20th WPC point to one company's move which typifies the market dilemma – that's ConocoPhillips. The US major's announcement in July that it will be pursuing the separation of its exploration and production (E&P) and R&M businesses into two separate publicly traded corporations via a tax-free spin-off R&M to its shareholders did not surprise the Oilholic and those who think the integrated model is no longer in vogue. As many are watching what unfolds at ConocoPhillips, it is worth turning one’s attention to what its Chief Executive Jim Mulva had to say amid a cacophony of soundbites in Doha. Mulva intends to retire once his company’s split is complete and will be replaced by Ryan Lance as head of the split upstream business. 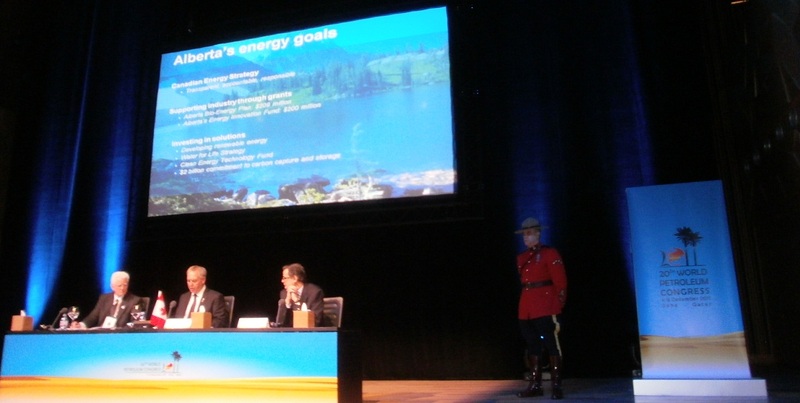 He notes that ConocoPhillips will spend close to US$14 billion on E&P in 2012 with the majority of the stated capital invested in unconventional projects in North America – namely the Canadian oil sands and liquids rich shale plays (Eagle Ford shale, Permian, Bakken and Barnett prospection fields). From these, the outgoing Chief Executive expects “competitive returns”. The company also hopes to remain active in Indonesia, Malaysia and Kazakhstan and is not giving up on the North Sea. In fact, it will invest more on existing and new prospects in the North Sea’s Greater Britannia, Greater Ekofisk fields and Jasmine and Clair ridge projects. However, moving away from E&P, ConocoPhillips will divest between US$15 to US$20 billion in assets by Q4 2012. Some, but not all, proceeds will be used to finance a recently announced US$10 billion share buy-back. Mulva has been as clear as he can be on his company's forward planning. The wider market will now be watching how things pan out for the split companies. However, nothing the Oilholic has heard at the 20th WPC fundamentally alters his initial thoughts - that the integrated model is in deep trouble in Western jurisdictions. © Gaurav Sharma 2011. 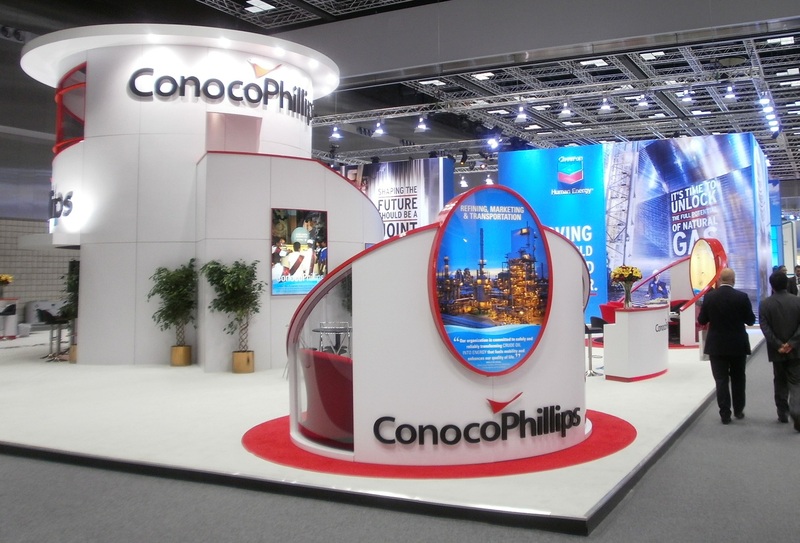 Photo: ConocoPhillips exhibition stand at the 20th Petroleum Congress © Gaurav Sharma 2011. Canada, India pitch to world & each other! One country aims to be a leading producer (Canada) and one is projected to be a leading consumer or at least among them (India), so the Oilholic has clubbed them together for purposes of blogging about what officials from each country said and did here today at the 20th WPC. 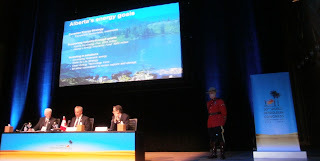 Starting with Canada, its ministerial session complete with a RCMP officer on either side of the stage saw Serge DuPont, Deputy Minister, Natural Resources Canada and Cal Dallas, Alberta’s Minister of Intergovernmental, International and Aboriginal Affairs outline their country’s goals for its energy business with the session being moderated by Neil McCrank, Counsel at Borden Ladner Gervais LLP. The Canadians maintained that in context of developing and investing in the oil sands – of which there is considerable interest here – the country’s energy strategy would be transparent, accountable and responsible both internally and internationally. They also outlined plans to support their industry, akin to many rival oil & gas exporting jurisdictions, via grants – chiefly the provincial government’s energy innovation fund. This would, according to Deputy Minister DuPont, accompany developing renewable energy sources and a C$2 billion investment in carbon capture and storage. Canada indeed is open for business with foreign direct investment (FDI) welcomed albeit under strict investment guidelines. Proof is in the pudding – not even one top 10 international oil major worth its balance sheet has chosen to ignore projects in the Alberta oil sands. The Oilholic is reasonably convinced after hearing the ministerial session, that when it comes to environmental concerns versus developing oil & gas projects who would you rather reason with – an open democracy like Canada or Chavez about Venezuela’s heavy oil? In light of recent events, one simply had to raise the Keystone XL question as the Oilholic did with Canadian Association of Petroleum Producers (CAPP) President Dave Collyer on a visit to Calgary earlier this year. After all, one wonders, what is the Canadian patience threshold when it comes to US exports given that new buyers are in town chiefly China, Korea and India. “Well Canadians are a patient lot. The US remains a major export market for us. The delays associated with the Keystone XL project are frustrating but our medium term belief is that the construction of the pipeline would be approved,” said session moderator and member of the Canadian delegation Neil McCrank of BLG. He also believes the new buyers in town can be happily accommodated with the oil sands seeing investments from China, South Korea and India (among others). “We acknowledge that there are difficulties in pulling a pipeline from Alberta via British Columbia to the Pacific coast as well – but we are working to resolve these issues as patiently, pragmatically and ethically as only Canadians can!” McCrank concludes. There is certain truth in that. Despite being an oil producer, Canada does not have a national oil company (NOCs) to trumpet and shows no inclination to shun FDI in Alberta. One of the aforementioned investors, whether ethical or not, is India which has a ‘mere’ 14 NOCs all aching to explore and secure fresh oil reserves to help meet its burgeoning demand for oil. Of the 14, some four are in the Fortune 500 and operate in 20 international jurisdictions; the loudest of these is ONGC Videsh Limited (or OVL) which among other countries is also looking at Canada as confirmed by both sides. India’s Minister for Petroleum & Natural Gas S. Jaipal Reddy sounded decidedly upbeat at the WPC, telling the world his country’s NOCs would make for robust project partners. Over a period of the last 12 months, the Oilholic notes that Indian NOCs have invested in admirably strategic terms but overseas forays have also seen them in Syria and Sudan which is politically unpalatable for some but perhaps ‘fair game’ for India in its quest for security of supply. Canada – should Indian NOCs increase their exposure in Alberta – would be interesting from a geopolitical standpoint given China’s overt stance on being a Canadian partner too. However, the only open quotes in terms of overseas forays from Indian officials came regarding investment in Russia and FSU republics. A high powered Russo-Indian delegation met on the sidelines of the 20th WPC to discuss possible investment by Indian NOCs in the Sakhalin project. Separately, officials from ONGC and GAIL told the Oilholic they were keen in buying a stake in Kazakhstan’s Kashagan oilfield, which is thought to contain between 9 to 16 billion barrels of oil, and join the consortium under the North Caspian Sea Production Sharing Agreement which sees stakes by seven companies – Eni (16.81%), Shell (16.81%), Total (16.81%), ExxonMobil (16.81%), KazMunayGas (16.81%), ConocoPhillips (8.4%) and Inpex (7.56%). However the rumoured seller – ConocoPhillips – quashed all rumours and instead said it was actually checking out material prospects in Kazakhstan itself. It also detailed its plans for Canada and shale plays. That’s all for the moment folks. Keep reading, keep it ‘crude’! © Gaurav Sharma 2011. Photo 1: Canadian Ministerial session at the 20th Petroleum Congress (Seated L to R: Neil McCrank, BLG, Cal Dallas, Alberta Goverment, Serge DuPont, Canada's Deputy Minister, Natural Resources. Photo 2: Indian Ministerial session (Seated third from right: India’s Minister for Petroleum & Natural Gas S. Jaipal Reddy) © Gaurav Sharma 2011. The Oilholic is by no means a photojournalist, but there is no harm in pretending to be one armed with a fully automatic Olympus FE-4020 digital camera at such an impressive venue as the Qatar National Convention Centre (QNCC) which was opened to the public for the first time for the 20th World Petroleum Congress when things began here on December 4th. According to a QNCC spokesperson, the “sheer size (of the building pictured above left), sensational spaces spread over three levels and high-tech solutions have set new standards when it comes to hosting an event as prestigious as the Petroleum Congress. One supposes that you can brag a little when your venue has 40,000 sq. metres of exhibition space, a conference hall facility for 4,000 delegates, 2,300-seat lyric style theatre, three additional smaller-tiered auditoriums all complete with theatre-style seating, banquet space for up to 10,000 in exhibition halls, 52 meeting rooms, ample space for pre-function logistics, exhibition foyers, lounges, hospitality suites, business centers and more importantly for fellow scribes - impressive media rooms! Phew! Hope you enjoy the virtual views, as the Oilholic is enjoying them here on the ground. © Gaurav Sharma 2011. 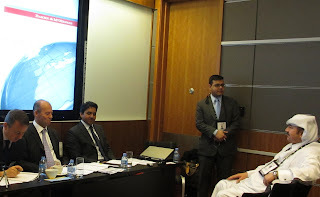 Photos from the 20th World Petroleum Congress being held at the Qatar National Convention Centre, Doha, Qatar © Gaurav Sharma, Dec 2011. Three heads of IOCs were all under one roof here at the 20th WPC today and all had a fair bit to say. Starting with Tillerson, the chairman and chief executive officer of ExxonMobil told delegates the future growth in world energy demand is a cause for optimism because it will signal economic recovery and progress. ExxonMobil is forecasting the global economy to more than double in size between 2010 and 2040, and during that time energy demand will grow by more than 30%. “So the energy and economic challenges the world will face in the decades to come require a business and policy climate that enables investment, innovation and international cooperation. Sound policies and government leadership are critical. When governments perform their roles effectively, the results are extraordinary – bringing enormous benefits in terms of investment enterprise, economic growth and job creation,” Tillerson said. “By understanding our strengths and proper roles in economic expansion, we can clarify our policy choices, fulfill our core responsibilities and open up economic opportunities for decades to come,” he continued. Tillerson opined that citizens and consumers need to understand the importance of energy, the vital role it plays in economic and social development, and how sound policy supports responsible energy development and use. “The debates and discussions in society at large need to be informed by the facts and fundamental realities of the challenges before us,’’ he added. Turning to his hosts, Tillerson said the state of Qatar is a leading example of what can be done when policies are in place to enable investment and innovation. He also feels the current economic challenges will not last forever. “There is reason for optimism but it is more important than ever that we swiftly take on these challenges with a sound and principled response,” he said. “History proves that energy policies that are efficient and market-based are the best path to economic growth and technological progress,” he concluded. In his keynote address to the Congress, Peter Voser, CEO, Royal Dutch Shell (pictured left) said a number of interesting things but for the Oilholic, his take on diversity of supply stood out. “Diversity of supply will play a role. Our scenarios team believes that renewable energy sources could supply up to 30% of global energy by 2050, compared with just over 10% today (for the most part traditional biofuel and hydro-electricity). That would be a massive achievement, given the enormous financial and technical hurdles facing new energy sources. But it will also mean that fossil fuels and nuclear will still account for around two-thirds of the world’s energy in 2050,” he told delegates. Shell sees supply growth coming mostly come from OPEC countries, growing at an average of 2% out to 2030, with an important role for Iraq. “However, we don’t yet know whether the recent developments in the some countries in the Middle East and North Africa region will impact the longer-term picture for OPEC supplies,” Voser said. Non-OPEC conventional crude supply has been relatively flat over the past years and is projected to remain so. “We will also need to unlock significant additional non-OPEC conventional resources. This could come from offshore Brazil, further growth in Africa, and places like Kazakhstan,” he continued. Further resources could come from unconventional plays such as the Canadian Heavy oil deposits, light tight oil in North America and, of course, the Arctic offshore, whether in Alaska, Greenland, Norway, or Russia. Much of this will take many decades and huge investments to unlock according to Voser. Satisfying rising demand will be expensive – the world must invest US$38 trillion on supply infrastructure in energy projects over the period of 2010-2035, according to the most recent IEA’s World Energy Outlook. “This is significantly higher than past spend trends. That said, although large in absolute terms, this investment is relatively modest to the size of the world’s economy, amounting to about 2.5% of global GDP on average over the next 25 years,” the Shell CEO concluded. Repsol YPF Chairman Antonio Brufau nailed his colours to the mast declaring his company was certain that there are abundant resources waiting to be discovered and incorporated into production, always with the most demanding environmental and safety standards. “But we cannot allow that to make us complacent: we must not settle for just that. As I have said, it is imperative to move toward an energy model with a lower carbon intensity. The stability of the planet's climate is at stake, and it is our obligation to be part of the solution,” he added. “That is part of a further-reaching change in mentality. We are in a global situation in which hundreds of millions of people make up the middle classes in "developing" countries (by the way, we should start changing the terminology, as I would say that, in general, they are already well developed), Brufau continued. New energy means new ideas and new attitudes according to Brufau. The types of energy used up to now, such as fossil fuels, will need to coexist with the new forms energy, in a complementary balance that the Repsol Chairman said he had no doubt will evolve very quickly. “I think that in this new situation it is best to put aside unshakable axioms and replace them with imagination and a capacity for innovation,” Brufau concluded. More later; keep reading, keep it ‘crude’! © Gaurav Sharma 2011. 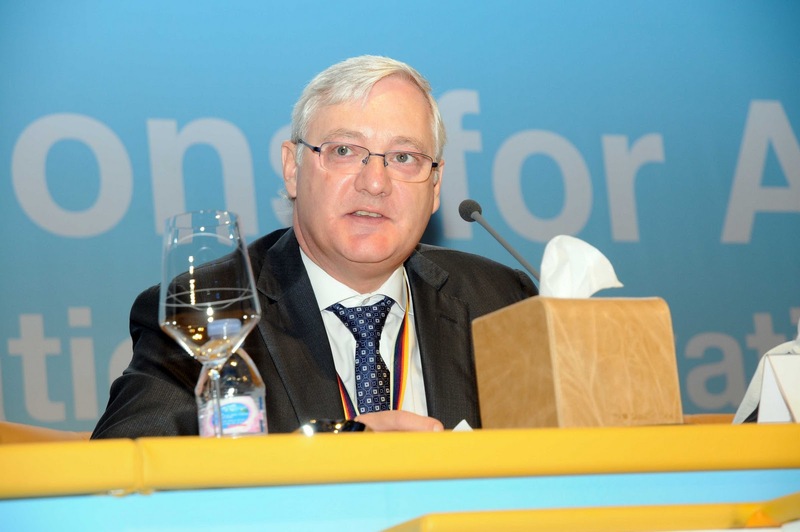 Photo: Peter Voser, CEO, Royal Dutch Shell speaks at the 20th Petroleum Congress © Weber Shandwick, Dec 2011. As Day three ends, the Oilholic had the pleasure of great chats with friends at Deloitte, Kentz Engineers & Constructors and Baker & McKenzie here at the 20th WPC. Starting with the latter first – B&M – who have taken the initiative to discuss NOCs and IOCs from a different angle. While the age old debate about NOCs versus IOCs is history, new opportunities for synergies and investment are emerging between the two and the Chicago-headquartered law firm wants to discuss these over a seminar here at the Congress. Let’s face it, NOCs overtook IOCs ages ago and most IOCs now seek partnerships with NOCs. Furthermore, since now would be a good time for asset acquisition; it is worth talking about the opportunities that exist for NOCs. The Oilholic has been kindly invited by B&M to moderate the seminar wearing his Infrastructure Journal’s writer as well as this humble blog author’s hat. In sunny Qatar – its two hats better than one. Details on how it all went to follow when the seminar is over. Since, the hot weather makes one thirsty, a parched Oilholic also had the pleasure of a few dwinkys with friends at Kentz. A chance and pleasant meeting with CEO Dr. Hugh O'Donnell courtesy Reuters’ very own resident oilholic Tom Bergin, author of the splendid book Spills & Spin, was deeply appreciated. Dr. O'Donnell sees huge regional opportunities here in the Middle East and feels Asia Pacific and Australia would be good bet for investment in the oil & gas sector in this macroclimate for his firm. Sorry the conversation was off record at a social setting so it would not be appropriate to reveal more. Last but certainly not the least, met several friends (new and old) from Deloitte, including Carl D. Hughes, the advisory firm’s global head of energy and resources. Like Dr. O’Donnell, Hughes sees potential in looking East. The Oilholic and Deloitte colleagues were in agreement about the challenges faced by the refining sector in Western jurisdictions and why new build in India is necessitated by demand. Shale invariably had to creep in to the discussion – who would have thought that at the 20th Congress the US delegation would be heading here as the world’s leading producer of gas? By the way, got up close to an F1 McLaren car at ExxonMobil's stand! Pretty cool methinks! (See photo above left & click to enlarge). More later; keep reading, keep it ‘crude’! © Gaurav Sharma 2011. Photo: 20th World Petroleum Congress exhibition floor & entrance © Gaurav Sharma 2011. Iranians are as boisterous as ever at the 20th World Petroleum Congress displaying no signs of worries about being buffeted from all corners about their nuclear program! One even took the trouble to give the Oilholic – his “Indian brother” with British nationality – the benefit of the doubt by explaining how his country’s nuclear program was purely for peaceful purposes. Sadly, neither the Oilholic was convinced nor as it were the market which remains jittery as the Israeli press continues its daily bombardment of a possible imminent pre-emptive air strike! End result, when last checked – ICE Brent forward month futures were at US$110.83 a barrel while the WTI traded at US$102.04! That’s the instability premium in the price for you or as the Oilholic’s new Iranian brother said, “Its courtesy corrupt paper traders who have never seen a real barrel of oil and OTC miscreants funded by Americans and Zionists”. Sigh! Sokou further notes that the Iranian foreign minister said during the weekend that a blanket ban on its oil exports would drive crude prices to US$250 a barrel. But hang on a minute; the Oilholic has been “reliably” informed it is those pesky paper traders? Drat! Despite that, neither Sokou nor any other analyst here thinks the US$250 level is viable at the moment. Nonetheless the momentum is to the upside. Speaking of real barrels of oil, the Oilholic will get to see one again on Thursday thanks to a visit to Dukhan field courtesy of WPC and Qatar Petroleum. Meanwhile, a mega petroleum exhibition has kicked-off here today. Keep reading, keep it ‘crude’! © Gaurav Sharma 2011. 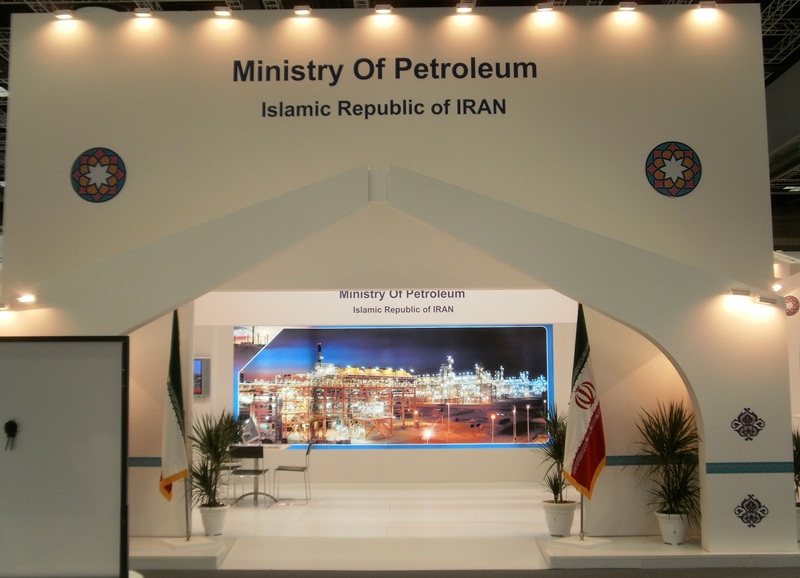 Photo I: Iran's stand at the 20th World Petroleum Congress exhibition. Photo II: WPC Exhibition floor & entrance © Gaurav Sharma 2011. In keeping with the intensity of World Petroleum Congresses of the past, the Oilholic’s first two days here have been – well – intense. The 20th WPC opened with customary aplomb on Dec 4th with an opening ceremony where feeding 5,000 delegates was a bit slow but the Qatari Philharmonic Orchestra tried its best to perk things up and make up for it. When things began in earnest on Dec 5th – the Oilholic was spoiled for choice on what to and not to blog about and finding the time for it. Beginning with our hosts, in his inaugural address to Congress, Sheikh Hamad Bin Khalifa Al-Thani, Emir of the State of Qatar highlighted that the event was being held in the Middle East for the first time; a wrong has been right – after all the region exports bulk of the world’s oil. Welcoming and thanking aside, the Emir made a very important point about why cooperation here among crude importers and exporters is really necessary now more than ever. “The growing needs for oil and gas requires enormous investments by the exporting countries. The financing of these investments and securing their profitability require the most accurate information possible about the factors affecting the global demand for oil & gas to reduce the degree of risk that these investments may be subjected to,” he said. “It is not reasonable to ask the Exporting Countries to meet the future needs for these two commodities while at the same time the consumer countries carryout unilateral activities that augment the risks facing these investments,” the Emir concludes. Well said sir – consumers need to get their act together too. Three of the biggest consumers are here in full force, i.e. the US, Indian and Chinese delegations; the size of latter’s delegation rivals even the Qatari participation. Completing the BRICs – Brazil and Russia are here seeking partners. Lukoil is looking to expand via investments while Rosneft is seeking a greater interaction with Norway’s Statoil. Brazilian behemoth Petrobras has been flagging its wares including details about the presence of oil at a prospection well (4-BRSA-994-RJS), located in Campos Basin, in the area known as Marlin Complex. The well, commonly known as Tucura, lies between the production fields of Voador and Marlim, at a water depth of 523 meters. Located 98 km from the shore of Rio de Janeiro State, the well is 3km from Marlin's Field and 2.3 km from the P-20 platform. The discovery was confirmed by sampling in post-salt rock in a reservoir located at a water depth of 2,694 meters. It follows Petrobras’ confirmation on Nov. 23 about the presence of a good quality oil in well (4-BRSA-1002-SPS), in south Santos Basin, in an area known as Tiro and Sidon. Petrobras CEO José Sergio Gabrielli de Azevedo is busy outlining future plans and the company's activities in Brazil and in the world. It seems the Brazilian major intends to invest US$225 billion between 2011 and 2015 with almost 60% of this going towards exploration and production projects. Gabrielli highlighted Brazil as one of the largest and fastest growing markets in the world in terms of oil consumption. By way of comparison, Brazil's annual oil consumption in 2010 was up 2.1%, in contrast to a decline of 0.04% in OECD countries for the same period. More later; keep reading, keep it crude! © Gaurav Sharma 2011. Photo: 20th World Petroleum Congress Opening Ceremony & Dinner, Dec 4th, 2011 © Gaurav Sharma 2011. The Oilholic arrived in Doha late last night before the biggest bash in the oil & gas business kicks-off in Qatar – yup its 20th World Petroleum Congress! Sadly a very late arrival at the hotel meant, the first square meal was not a local delicacy – but a visit to Dunkin’ Donuts which was just about the only place open at 12:20 am local time. Still there’ll be plenty of opportunities to savour local delights over the next five days! As the opening ceremony takes place later this evening, there is lots to discuss already following Shell’s announcement about its withdrawal from the Syrian market in wake of EU sanctions. Other oil companies are simply bound to follow suit. Syrian officials are expected to be in attendance but it is highly doubtful that the Oilholic would gain an attendance with them. A few more bits before things get going, one hears that Fitch Ratings expects the credit profiles of the European oil majors to remain stable in 2012 despite the risk of a possible slowdown in revenue growth combined with still ambitious investment spending programmes of around US$90 billion over the following four quarters. The agency believes sector revenue growth in 2012 will probably slow to single digits from more than 20% in 2011, according to a new research note. The Oilholic also had the pleasure of interviewing Eduardo de Cerqueira Leite, the chairman of (currently) the world’s largest law firm by revenue – Baker & McKenzie – on behalf of Infrastructure Journal. Leite does not believe the integrated model of combining upstream, downstream and midstream businesses is dead as far as major oil companies are concerned. “We saw Marathon Oil Corp split off its refining business and know that ConocoPhillips is planning to do the same. By spinning off R&M infrastructure assets a company can focus on producing oil and gas, particularly in the more innovative areas of offshore oil exploration and unconventional oil and gas production,” he said. “However, we are not seeing all of the majors spin off their R&M divisions. Many still have a need for refining expertise and processing plants due to the increasing development of liquefied natural gas, natural gas liquids and high-sulphur heavy crudes. So, I wouldn't call the integrated model dead, although we are seeing changes to it,” Leite concludes. That’s it for now. Keep reading, keep it 'crude'! © Gaurav Sharma 2011. Photo: Doha Skyline © WPC. Logo: 20th World Petroleum Congress © WPC. Why Keystone XL’s delay is not such a bad thing! 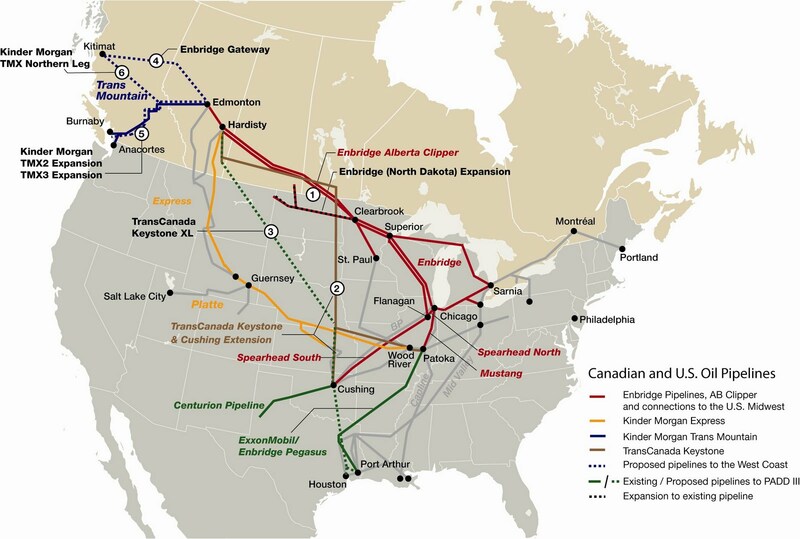 Over the last fortnight the Oilholic has been examining the fallout from the US government’s announcement delaying a decision on the proposed Keystone XL pipeline and its decision to explore alternative routes for it from Alberta, Canada to Texas, USA (See map. Click image to enlarge). To begin with, it gave Canadian Prime Minister Stephen Harper an opportunity trumpet his country's new-found assertiveness in the energy sphere. A mere three days after the US State department announced the delay, Harper told President Obama, whom he met at the Asia Pacific Economic Co-operation forum in Hawaii, that his government was working to forcefully advance a trade strategy that looks towards the Asia Pacific. Harper had strong language for the President and told reporters that since the project will now be delayed for over a year, Canada must (also) look elsewhere. "This highlights why Canada must increase its efforts to ensure it can supply its energy outside the United States and into Asia in particular. And that in the meantime, Canada will step up its efforts in that regard and I communicated that clearly to the president,” he said. Of course, this version differs significantly from what the White House said but it gives you a flavour of the frustration being felt in Canada. The Canadian Association of Petroleum Producers (CAPP) says the US government’s decision was disappointing given the three years of extensive analysis already completed and after the US government’s own environmental impact assessment determined the proposed Keystone XL pipeline routing would not have an undue environmental impact. CAPP also seeks to look at the positives and maintains that Canadian oil sands production will not be impacted in the near term and other alternatives are being pursued to ensure market access over the medium term. Simply put, delaying Keystone XL will motivate exploration of other markets for Canadian crude oil products as the Canadian PM has quite clearly stated. Moving beyond the geopolitical scenario, ratings agency Moody's feels the Keystone XL delay is credit positive for TransCanada Pipelines (TCPL) – the project saga’s chief protagonist – although it does not change TCPL's A3 Senior Unsecured rating or stable outlook given the relative size of the Keystone XL project to TCPL's existing businesses. In a note to clients on Nov 11, the agency noted that the announcement was likely to cause a material delay in the potential construction of that pipeline, which will actually benefit TCPL's liquidity, leverage and free cash flow, providing the company with a greater financial cushion with which to undertake the project if and when it is fully approved. Moody's also does not expect the Company to undertake share buybacks with the funds not invested in Keystone XL due to the approval delay. TCPL's liquidity will improve as the construction delay will defer over $5 billion of additional capex (compared to TCPL's total assets of approximately $46 billion). Furthermore, 75% of additional costs associated with the delay or rerouting is expected to be largely borne by the shippers rather than TCPL. Moody's expects the shippers to agree to a project delay, but that is not certain. “While the delay may reduce TCPL's growth prospects in the medium term, that is not a major influence in the Company's credit rating. Should the project ultimately be cancelled, Moody's expects that the pipe, which is the largest component of the $1.9 billion that TCPL has already invested in the project and which is already reflected in the company's financial statements, would be repurposed to other projects that would presumably generate additional cash to TCPL over the medium term,” it concludes. Since then, the US state of Nebraska and TCPL have agreed to find a new route for the stalled pipeline that would ensure it does not pass through environmentally sensitive lands in the state. The deal with Nebraska would see the state fund new studies to find a route that would avoid the Sandhills region and the Ogallala aquifer. However, the deal will not alter the timeline for a US Federal review, according to the State Department. That means, as the Oilholic noted earlier, the Obama Administration will not have to deal with the issue until after the 2012 election. While that’s smart politics, its dumb energy economics. Right now it appears that the Canadians have less to lose than the Americans. Moving away from Keystone XL, the crude markets began the week with a bang as the ICE Brent forward month futures contract climbed over US$3 to US$109 per barrel but the rise across the pond was more muted with WTI ending the day at US$98.20 unable to hold on to earlier gains. Jack Pollard, analyst at Sucden Financial Research, feels that Middle-Eastern tensions provided significant support to the upside momentum. “Yesterday we had the first day of Egyptian elections, with the final vote not due until early to middle January and the interim prospect of further violence could maintain volatility. Furthermore, the pressure on Syria increased even further with some suggesting a no-fly zone could be in the offing,” he said. However, the Oilholic and Pollard are in agreement that the main market driver emanated from Iran. “Ever since the IAEA report on November 8th we have seen the possibility of supply disruptions contribute to crude oil price’s resilience relative to the rest of the commodity complex. On Monday, we heard reports that Iran’s government had officially voted in favour of revising down their diplomatic relations with the UK, ejecting the ambassador. Should the situation escalate further, the potential for upside could increase significantly, disproportionately so for Brent,” Pollard concludes. The current disruption of the geostrategic balance that had underpinned the Middle East for decades is bound to cause ripples in energy markets. But don't these recent developments only add to scares of the past. 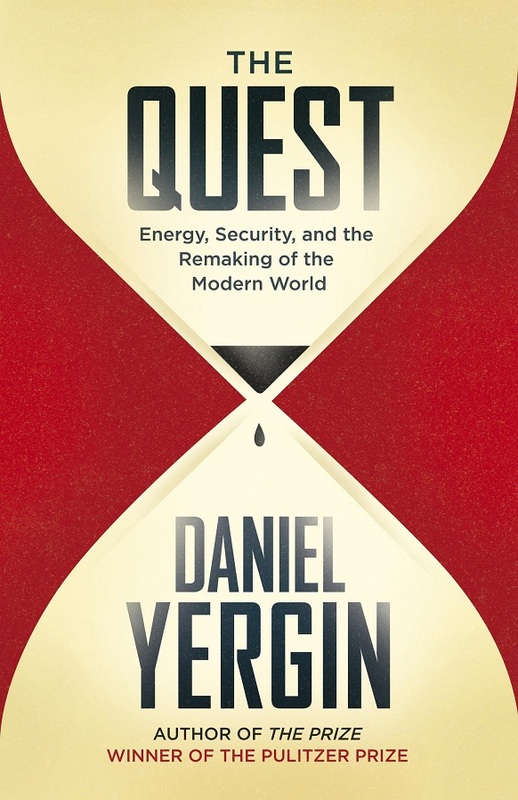 In his latest work 'The Quest', a follow-up to his earlier work 'The Prize', author Daniel Yergin notes that in a world where fossil fuels still account for more than 80% of the world's energy, crises underscore a fundamental reality - how important energy is to the world. This weighty volume is Pulitzer Prize winner Yergin's attempt to explain that importance intertwined in a story about the quest for energy security, oil business, search for alternatives to fossil fuels and the world we live in. Three fundamental questions shape this free-flowing and brilliant narrative spread over 800 pages split by six parts containing some 35 detailed chapters. To begin with, will enough energy be available to meet the needs of a growing world and crucially at what cost and with what technologies? Secondly, how can the security of the energy system on which the world depends be protected and finally, what will be the impact of environmental concerns? The author gives his answers to these profound questions citing international events and technological developments of the decades past and present. Part I discusses the new and more complex world order after the Gulf War, Part II focuses on energy security issues while Part III discusses the advent of electricity and "gadgetwatts". Part IV discusses climate change, Part V clean technologies and lastly in Part VI, Yergin offers the reader his take on the road ahead. Shale, oil sands, 'rise' of gas, wind, solar, biofuels, offshore and peak oil versus the perceptively "ever expanding range of the drillbit" have all been discussed in detail by the author. In all honestly, it is neither a pro-fossil fuel rant nor does it belittle the renewables business. Rather it highlights the complexities of both sides of the carbon divide with the macroeconomic and geopolitical climate serving a constant backdrop. Current the book surely is, accompanied by a healthy dosage of historical contextualisation and Yergin's own take on whether nation states - chiefly the US and China - are destined for a clash over energy security. The Oilholic read page after page fascinated by an extraordinary range of 'non-fiction' characters, places, technologies, theories and the dramatic stories they resulted in. What really struck the Oilholic was that the narrative is free from industry gobbledegook (or its duly explained where applicable) and as such should appeal to a wider mainstream readership base than just energy professionals and those with a mid to high level of market knowledge. Its crisp mix of storytelling and analysis suits petroleum economists and leisure readers alike. While the Oilholic attaches a caveat that a book of 800 pages is not for the faint hearted, he is happy to recommend it to business professionals, students of economics and the energy business, and as noted above - those simply interested in current events and the history of the oil trade. It is of course, a must for fellow Oilholics. © Gaurav Sharma 2011. Photo: Cover of ‘The Quest: Energy, Security, and the Remaking of the Modern World’ © Allen Lane/Penguin Publishers 2011.